Use a nail clipper to trim the tips of the acrylic nails. Alternatively, you can use a coarse nail file to reduce its length. Apply petroleum jelly to the surrounding nail skin, apply the acetone using cotton balls, and then wrap the fingers tightly with aluminum foil for about thirty minutes. After that, remove the foil, scrap off the leftover acrylic using a nail buffer and then shape your natural nails. 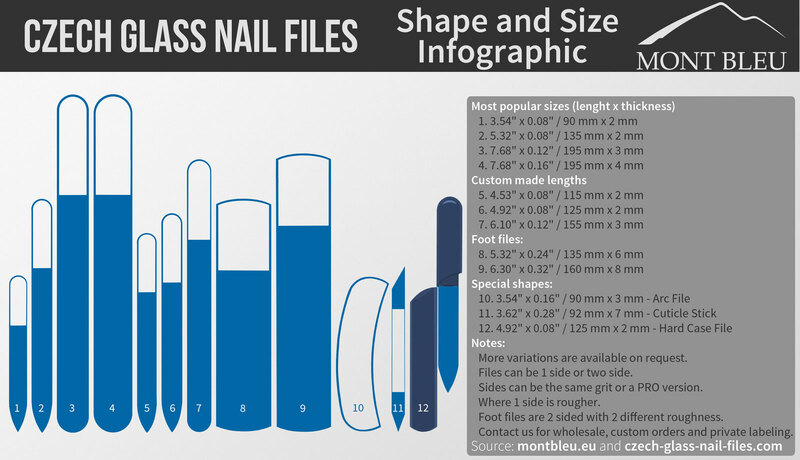 You will first have to clip your nails then file them making sure that you file away as much acrylic as possible. Just be careful not to overdo it since it can damage the nails. After that, use a cuticle stick to pry the edge of the acrylic nails. Lift the edge and place the end of a cuticle scissor under it and start clipping off the acrylic. Repeat this process until the acrylic is completely removed. Afterward, buff the nails in order to remove any traces of acrylic left. 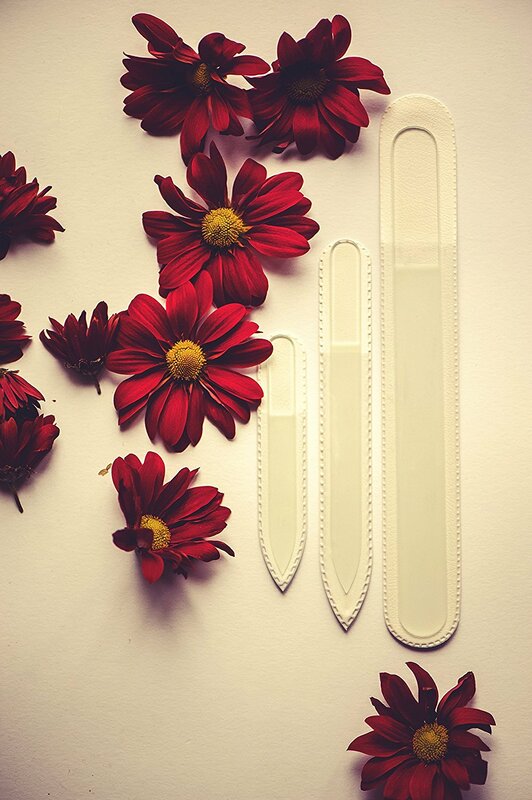 PRO glass nail file can be a great choice if you decide to file your acrylic nails. Have the other person slide dental floss below the edge. He or she should then slide the dental floss back and forth while pulling it up to make the nail loose. The process should be repeated until the nail is completely removed, but it should not be done quickly. Lastly, buff your natural nails then apply moisturizer and cuticle cream. Spread a newspaper on a flat surface then place a bowl on it. After the acrylic is removed completely, wash your hands, dry them, and apply a moisturizer. First, you will have to trim and cut your nails as short as you can use a nail clipper. After that pour some alcohol into a bowl and dip your finger in them for about five minutes. After that, remove the alcohol and gently wipe the acrylic off using a paper towel. The paper towel will easily remove the acrylic from your nails. Afterward, take a French manicure then apply a moisturizing cream at the ends. It is probably the best option in case you are not confident of doing it yourself. The manicurists are well trained and will follow all the necessary steps in order to remove the gel nails without damaging your nails. Nonetheless, you have to be ready to pay a fee. Extra tip. 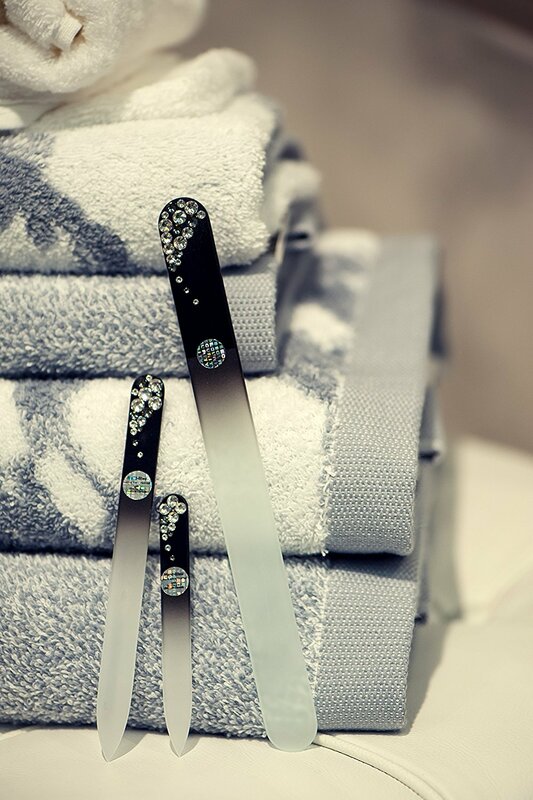 Use Czech made crystal nail files. 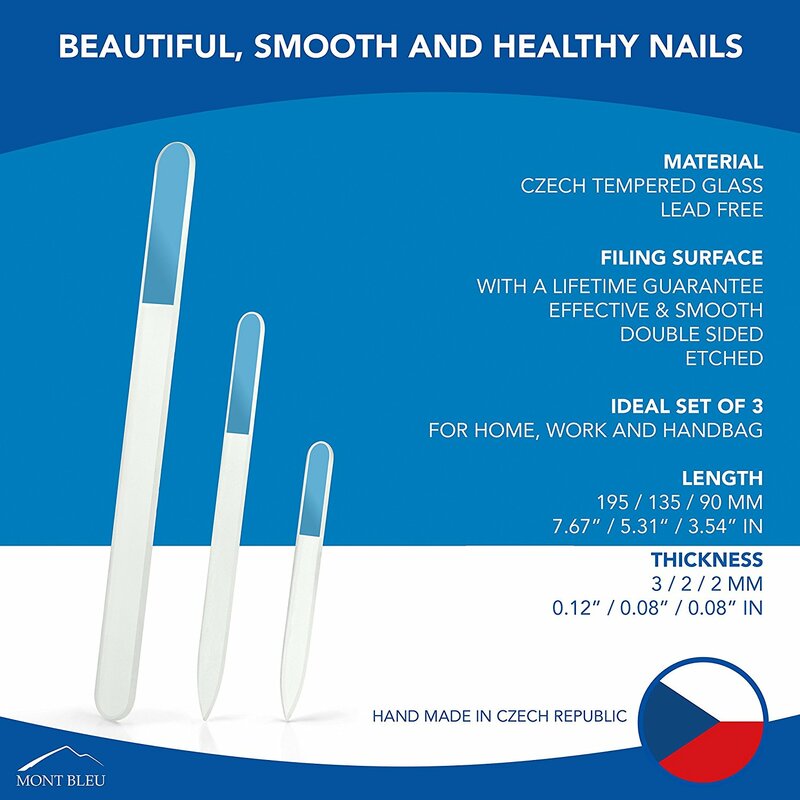 After the acrylic nails are gone file and shape your nails using Czech glass nail files, they make the nails stronger and healthier. 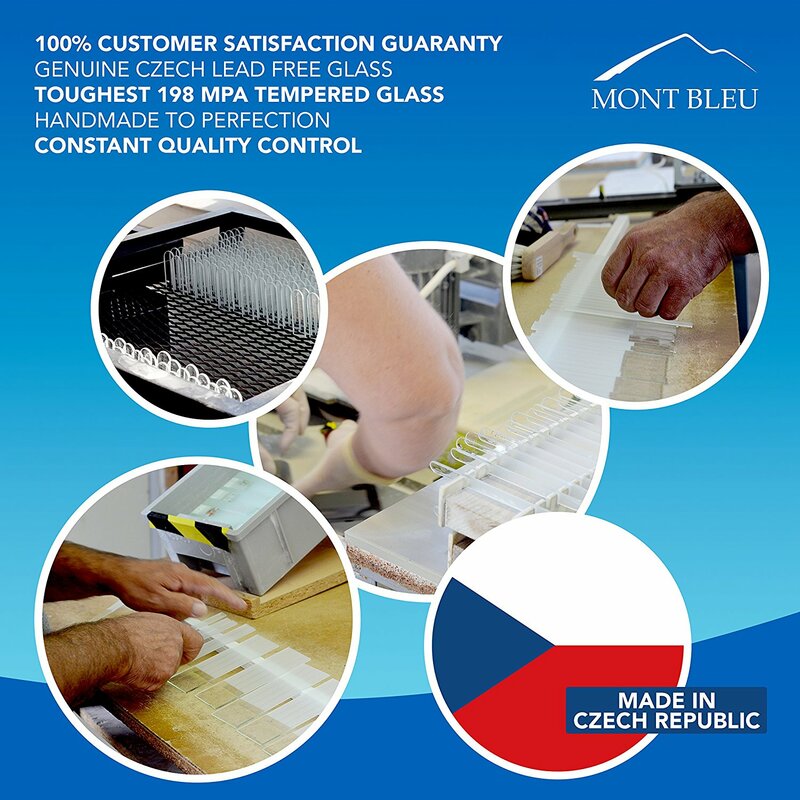 Where to get Czech made crystal glass nail files? Nails are crucial especially for women. However, at times they may grow so slowly and make one to be devastated. Well, some things you may be doing or not doing are causing your nails to grow at a very slow pace. We will look at some of the habits, products, and dietary changes that can help your nails to grow faster. Your nails ought to be cared for just like the face. If you leave them to get jagged, they become weak and eventually break. Therefore, it is imperative to keep them clean and well manicured. Always shape them correctly with a nail file ensuring that you follow the right mechanism to prevent ripping them. Also, buff the surface to ensure that they are always in good shape. Nail biting is a problem that many people have, and it prevents nails from growing. Well, if you find it hard to stop, you can buy products from drugstores that you apply on the nails to prevent biting. Other than that, visit a professional manicurist to help you remove gel nails instead of ripping them as that makes the nails weaken. Harsh products have a tendency of weakening your nails making them break over time. Always go for non-toxic nail polish and remover and wear gloves whenever it is necessary that you handle strong chemicals and detergents. It is also important to wear gloves when washing utensils as dish soap can cause the nails to dry and hence making them break. There are different drug stores and cosmetic shops that sell nail strengthener polish. Look for one that is clear and has nutrients contents that help in promoting nail growth. When blood flows to all parts of the body including the nails, they grow faster. You can start by exercising and use your hands carefully for different activities like knitting. Other activities like typing, gardening or playing tennis helps in improving blood circulation in your hands. Nails consists of proteins and so it is important to improve the protein content in them by taking more proteins. Eat a diet that has fish, pork, beef, poultry, as well as vegetable proteins like beans and green grams to build our nails. Other excellent sources of protein include eggs and nuts especially for vegetarians who cannot eat meat, fish or pork for proteins. Apart from proteins, vitamins can also help in nail growth. Vitamins C, D and A are useful for ensuring healthy fast growth of nails. Chia Oil Gel is suitable for nail growth; it has chia oil that is mixed with some amount of Vitamin E. Applying it daily on your nails and rubbing it in will significantly improve nail growth. For Vitamin D, take lots of dairy products like milk while for Vitamin C eat kale, spinach, kiwi, and oranges. Foods that contain Vitamin A include sweet potatoes, carrots, and any other orange vegetables. Dieting is a great way of losing weight but on the other side; it causes the slow growth of nails. In case you have been dieting, and you notice that your nails are not growing, it may be because you are restricting many calories. First, look at your diet and ensure that all the necessary nutrients more so proteins are included. Also, eat whole vegetables and fruits instead of diet bars to get the calories that you need. In case you are a vegetarian, you will have to eat vegetable proteins like legumes to supplement your meals for healthy growth of nails. The squoval shape is a conventional square almost the length of square nail whose edges are in an oval. The shape adds versatility, allowing short and wide nail beds to have length without looking oversized. The squoval shape is easy to maintain and aids in preventing breaking of nails. Anyone with an active lifestyle can adopt it especially if you have little time to do maintenance on a regular basis. You can create this look by filing the nails into a square ensuring that the sidewalls are straight. After that, tilt the nail file beneath the corners and file evenly. The process will take the sharp corners of leaving a smooth round shape. Bear in mind that it is only the sharp tips at the sidewalls that should be filed to create a soft curve without getting rid of the square tip. It is not such a popular shape, but it is more adventurous than squoval, ovals, and square shapes. The shape is suitable for fat fingers since it creates length and has a slender effect on hands. Nonetheless, note that, this nail shape should be adopted by one who has time to care for their nails. You will have to pay close attention to it since it is prone to breakage, as the nails grow longer. To get this shape, mark a spot at the center of your nails and start filing toward that point. File your nails at an angle that is just a little bit off the nail center to leave a flat tip for rounding. After you have created the angles on both sides, file the corners to smoothen the sharp angles into an almond shape. The oval is very attractive for most women’s hands. It not only creates an elegant shape but also flatters both wide and narrow nail beds. Meaning that, women with fat fingers can adopt it to create the illusion of longer nails and slim fingers. The shape is good since it can work for women with short and long nail beds. Moreover, it can add length to nails while maintaining the soft curves of the round shape created. To achieve this shape, start by filing the sidewalls in a straight manner to ensure they are even. Bear in mind that, getting this shape can be quite difficult since slight imperfections can make your nails look rather imbalanced. After filing the sidewalls, start filing from the side nail toward the top using smooth but arching motions using the file. After that, work your angles on equal sides of the nails and around the free edge to smoothen them into an oval shape. The final look should have the free edge and cuticle well balanced. More nail care tools to think of. Which one is better? In conclusion, the above nails shapes can perfectly fit anyone with fat fingers as they create the illusion of long slim fingers.